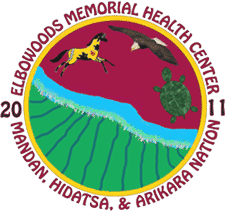 Welcome to the Elbowoods Memorial Health Center. Opened in October 2011, this state-of-the-art health care facility has long been promoted by the Three Affiliated Tribes as fulfillment of promises made during the flooding of Garrison Dam in the 1950s. This full service clinic not only offers preventive and therapeutic health services, but will also add to the growth and strength of the community and enhance the quality of life for the residents of Fort Berthold Reservation.